Tune in to The Morning Mishmash with Chad and Nina, where our hosts will welcome guests to talk about the building blocks of the universe. Can you un-bake a cake? Should you build a house out of gumdrops? Find out on this lively TV program, complete with commercials! Aligned with NGSS. 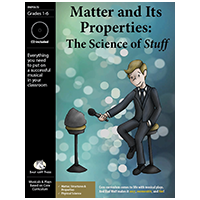 Matter and Its Properties is a great complement to your curriculum resources in physical science. And, like all of our plays, this show can be used to improve reading, vocabulary, reading comprehension, performance skills, class camaraderie and teamwork, and numerous social skills (read about it!) -- all while enabling students to be part of a truly fun and creative experience they will never forget! Use as many Dancers, Superfans, Architects, etc. as desired. One student can easily play several roles if needed, and individual roles can be doubled up. Note that all roles can be played by either boys or girls; feel free to change names and pronouns. and a STUDIO AUDIENCE (CHORUS) composed of all students who are not playing roles on stage at the time. About the stuff we know. Of the science of stuff. And watch the change of state. It'll be the best condensation yet. CHAD: Hello and welcome to The Morning Mishmash with Chad and Nina. NINA: All this week on The Morning Mishmash we're exploring a topic near and dear to my heart...the science of stuff. NINA: Chad!! You agreed to stop making that face on the air! CHAD (sighs): I know. Sorry. But I just want to get back to the things we usually do, like talking to movie stars and making brownies with retired racehorses. NINA: And we will, Chad. But this one week is dedicated to SCIENCE. And the audience can't wait to get started, am I right? NINA (to CHAD): See? Just give it a chance, will you? NINA: Great. Well, now that we have that over with, let's get on with today's show. We're going to start by talking about a little thing called MATTER. CHAD (cheesily): Matter? Sounds important. NINA: Oh, it is, Chad. And our first guests today are very concerned that it's also DANGEROUS. Let's welcome them to hear their story. GUEST #1: Thank you, it's great to be here. CHAD: And it's great to have you. Tell us why you're so worried. GUEST #2: Well, most people have no idea, but this stuff called matter? It's EVERYWHERE. GUEST #3: Matter's in our food, in our drinking water, even in the air we breathe! CHAD (aghast): Is that true? GUEST #1: Absolutely, Chad. And we are prepared to do something about it. That's why we're here today getting the word out. NINA: Can we back up just a minute? I'm not sure everyone in our audience knows what matter even IS. Could you explain it? GUEST #3: It's kind of hard to explain. NINA: Let's bring on some physicists to help us out. PHYSICIST #1: Thank you, Nina. And thank YOU for bringing up these concerns. PHYSICIST #2: Yes, it's important that we address scientific misconceptions before they spread and make people panic. GUEST #1: We're good at panicking! GUEST #2: What do you mean, misconceptions? PHYSICIST #1: Well, you are right that matter IS in everything. GUEST #3 (to ALL): SEE? Even the scientist says so! PHYSICIST #2: But matter is not dangerous. It's simply the "stuff" that's makes up everything in the whole universe. GUEST #1: Wait...are you saying that all of this matter is NOT harming us? PHYSICIST #1: Far from it. It's making us what we are! That sneaky matter follows you no matter where you go. Don't look now but there is matter standing next to you! That gives the world its zing. The world's claim to fame. Without it there would be no me and there would be no you! CHAD: Phew! Well that's good news. I was definitely heading into panic mode. NINA: Let's take a question from the audience. AUDIENCE #1: If matter is in everything, why isn't everything the same? Are there different kinds of matter or something? NINA: To explore that excellent question, let's bring out our next guests. ARCHITECT #1: Thanks, Nina. I never thought small-town architects like us would get to go on a famous talk show! CHAD: Architects? I thought today's show was about science? ARCHITECT #2: It turns out that building houses has a lot to do with science. CHAD: Really? Are you sure? ARCHITECT #3: It came as a surprise to us, too. NINA: So tell us what happened. ARCHITECT #1: Well, the crux of the matter—get it, the CRUX of the MATTER? HA!—is that different kinds of matter have different properties. CHAD: I've always wanted to have a lot of different properties. ARCHITECT #2: Actually, Chad, what she means is that matter comes in different shapes and sizes and has different qualities. ARCHITECT #3: Some things are soft; some are hard. Some things are flexible; some are rigid. ARCHITECT #2: And you have to consider the properties of an object before you know how to use it. ARCHITECT #1: We learned this the hard way. To use as roofing slats. And then they rolled my blueprints up and gave them back to me. Will it bend, absorb or shatter? Properties will tell us what an object can do. With bricks and boards and dirt. CHAD: Wow. Whoever said "mind over matter" never tried building a gumdrop house, am I right? NINA: Words of wisdom, Chad. Now let's move on to today's Power Question: What are the three states of matter? CHAD: That answer and more...after this word from our sponsor. BONNIE: Are your child's toys driving you CRAZY? BOB: All those fancy parts always breaking? BONNIE: All those awful sirens and songs giving you a headache? BOB: What you need is to get back to basics. BONNIE: With Bob & Bonnie's Building Blocks of the Universe. BOB: "Normal" blocks are covered with DISTRACTING letters and pictures. BONNIE: Studies show that "normal" blocks make babies feel bad about themselves for not being able to read. BOB: But Bob & Bonnie's Building Blocks of the Universe are pure creative fun! BONNIE: Your baby can build a variety of objects, take them apart, and build something else. BOB: In the same way that matter has been built since the beginning of the universe. BONNIE: With the same particles combining to make different objects. BOB: Think about it. Doesn't your child deserve better than some loud, flashing, fragile toy that destroys his or her self-esteem? BONNIE: —with Bob & Bonnie's Building Blocks of the Universe! We did a dual performance with grades 3k preschool - grade 8 along with the play Forces and Motion. Both were a hit with the kids and audience alike. The kids looked forward to listening to the music from the get go. Very catchy tunes and words. They caught on to the songs easily and will be continuing to sing them for weeks! This is one of my favorite plays that my class has performed because since it was a talk show the guests didn't have to have costumes. The stage set up was like the Ellen Show with little couches. My students loved this show! My students LOVED this play - and learned so much! I am a long time user of Bad Wolf Press plays, and this is one of the best! My students loved the songs and learned so much about solids, liquids and gases. I was able to easily integrate science activities with the concepts addressed in the play. There are some more complex concepts for older students, but it was easy to do the play and adjust it so that younger students weren't overwhelmed by the more advanced content. All of my parents loved our performance! 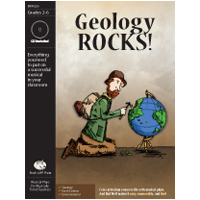 Easy to use, great content, creative, and aligns with NGSS science standards. 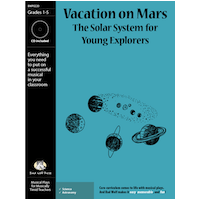 I am using the play, The Science of Stuff during an after-school program. It is going really well. The music was well received and catchy! 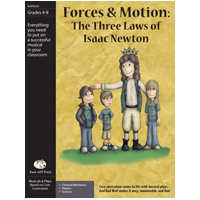 It definitely hits on topics about the different states of matter, how temperature changes matter and its states and how matter has different properties that determines how we use it. I cannot wait for our performance in 2 weeks. Matter is so easy to put on! I am currently putting on the Matter show with my second grade class. It is a perfect fit for my curriculum. I was easily able to break up the longer parts, Chad and Nina, into pieces my kids could handle. Sets are a piece of cake and I am just drawing on t shirts for costumes. I have done many Bad Wolf plays in the past but this one is the easiest to produce. It would be a good starter for a teacher who has never done a musical before. mishmash misconception zing "crux of the matter" "mind over matter"
evermore "get with the program"